Just in case you’re wondering, that’s not a typo. It’s Jose, not Joe. See, these are Tex-Mex my friends, full of spices like cumin and chili powder with some coriander thrown in for good measure. Let’s not forget the jalapenos either! For dinner last week we had these delicious Smoky Tex-Mex Sloppy Joses, which I printed from my friend Debra’s blog, Taste and Tell. 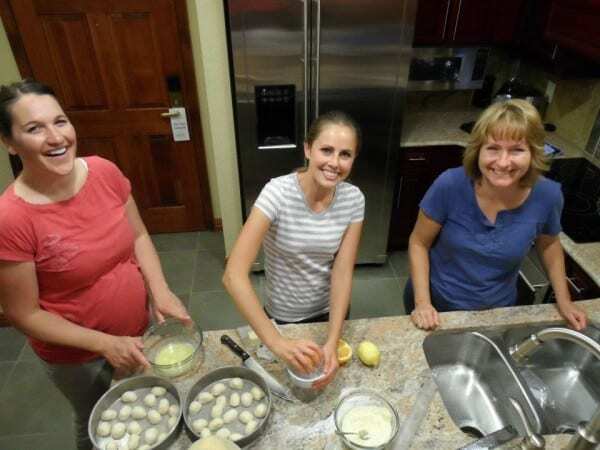 I was lucky enough to not only meet Debra at the Evo Conference last year, but also room with her and a few more fabulous gals in beautiful Park City, Utah. If you’d like to check out some of the pictures, like this one where we were making breakfast in our room, you can click over to the album on Facebook. 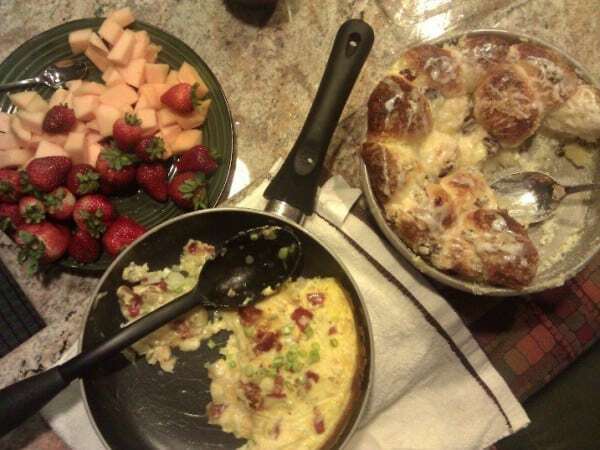 I made my Cheesy Bacon Potato Frittata and Barbara made her amazing Citrus Cream Cheese Pull Apart Rolls. And, of course there’s was plenty of fresh fruit to be had. When we attend conferences we meet people in real life that we may have already known online, a phenomenon that our grandparents would never be able to understand. But nowadays, it happens all the time. Not just with bloggers, but everyone. A neighbor of mine met her current fiance playing Warcraft online! Who knew.. Anyway, back to the Sloppy Joses! I didn’t get any fabulous pictures of this, but it was so good I really couldn’t pass up sharing it with you. The only picture I took was this Instagram shot. So Debra was nice enough to let me borrow her photo :) So in turn, I’m sending you over to Debra’s blog to grab the recipe. And DON’T forget the Fritos! They totally make the sandwich. They are a must! 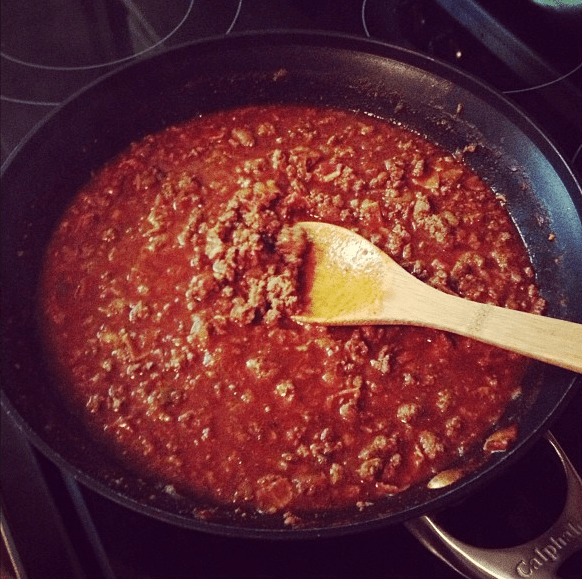 This is a great addition to my ground beef dinner ideas! 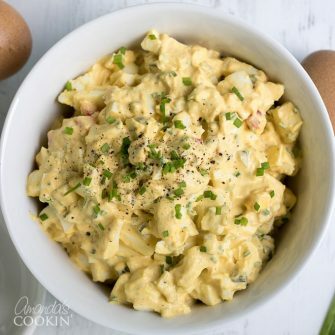 Thanks for the great recipe Debra. 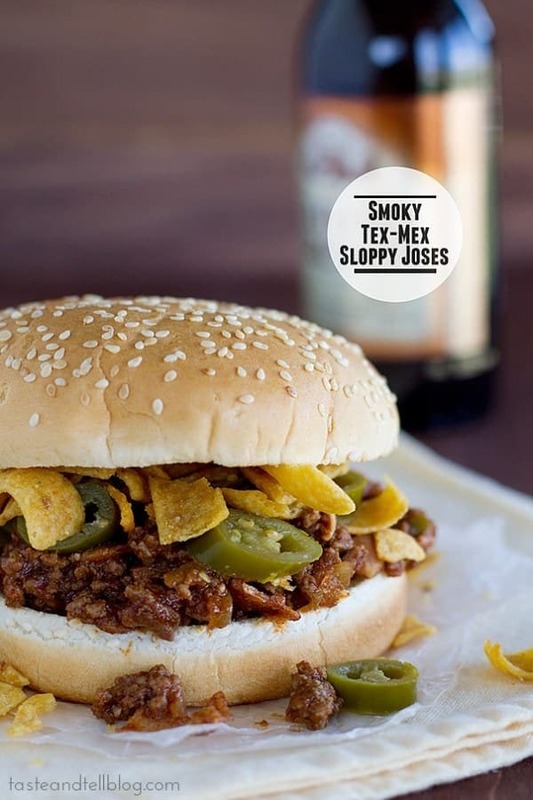 I also make a Sloppy Jose sandwich but never thought to add Fritos to it. Brilliant idea! The Fritos totally make the sandwich! Thanks so much for sharing, and I’m so glad that you loved them! That first photograph makes me want to reach right in and devour that sandwich. It looks and sounds delicious. And don’t worry, I won’t forget those Fritos. Wish I had everything on hand to make this tonight. Perfect football food. The Fritos definitely make the sandwich!